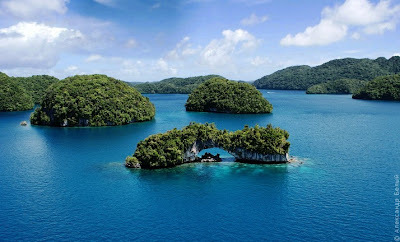 Quaint island of Palau (Rock Islands of Palau), the central part of the archipelago. 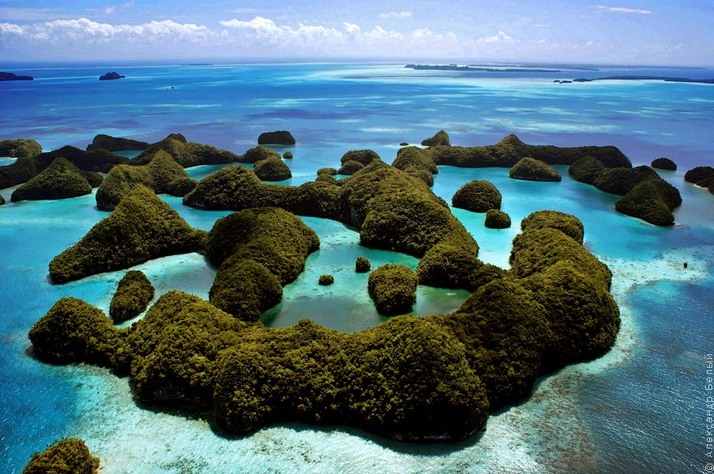 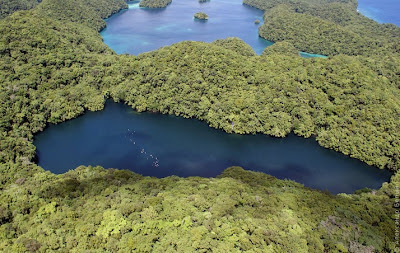 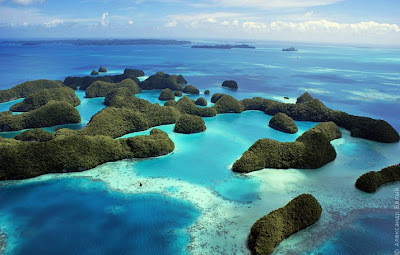 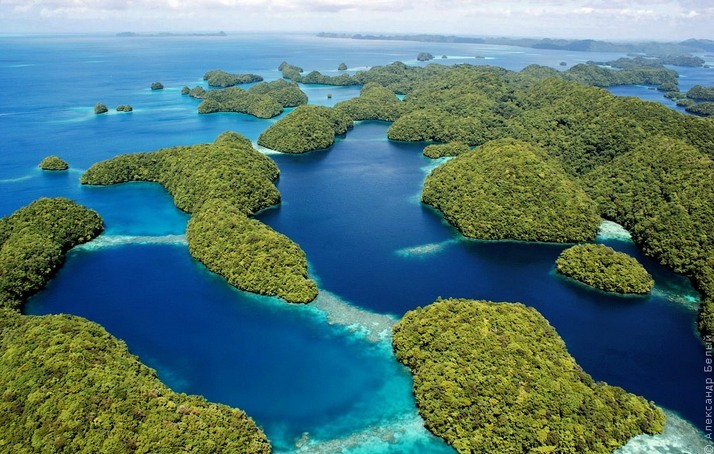 The central part of Palau – a compact and bright natural creation, the perfection of which can be fully assessed only sunny day with a bird’s-eye view. 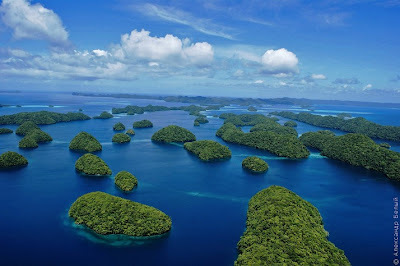 Hundreds of fantastic islands that have a common name of the Rock Islands, located over the ocean, slightly rising over the water. Surprisingly, these vegetated islands-mounds were originally colored coral reefs. One Flew over the archipelago, watching a bizarre maze of green and azure blue sea lanes stretching between the islands. Depth between the islands reach 50 meters. Among the maze of islands, there are shallow waters, where sea sand accumulates and creates a small beaches. 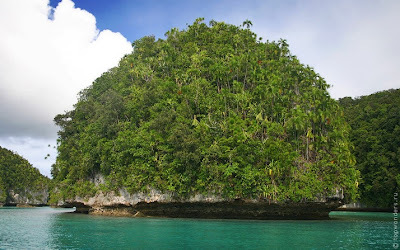 In areas of contact with the water of the island there is a process of dissolution of limestone and the water’s edge is formed notch, giving the island similar to the fungus on a short stalk. Some mini islands for the foreseeable future may come down. 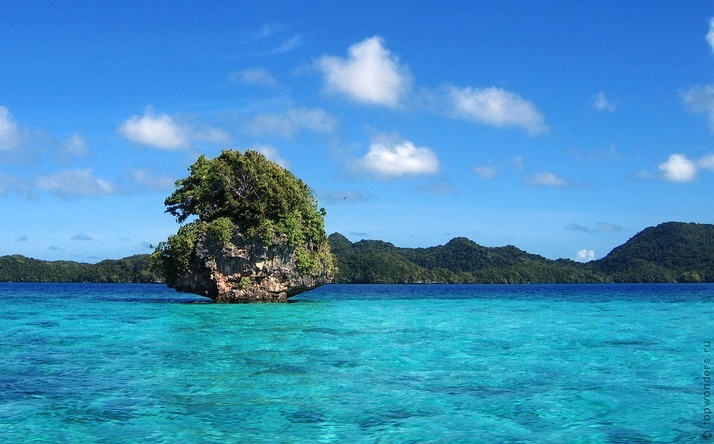 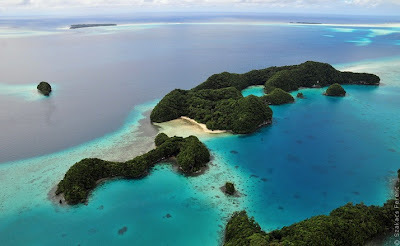 A separate group of islands on the western side of the Palau is the name of the Seventy Islands and has the status of protected area.